For over a hundred years, the Authors Guild has lobbied for author-friendly improvements to the copyright law. Today, as copyright finds itself under attack on so many different fronts, the Guild is frequently called upon to defend the current law from being further eroded. As part of the Guild’s efforts to ensure that copyright law (as it applies to authors) is correctly interpreted and enforced, the Guild’s Executive Director, Mary Rasenberger, accepted an appointment to an Advisory Committee for a project to create a Restatement of Copyright Law. Restatements of Law are produced by the American Law Institute (ALI), a well-respected, independent organization formed a century ago to bring clarity and consistency to complicated areas of U.S. case law, by spelling out general principles and rules for particular areas of the law. It was with some surprise that the copyright community first learned in 2014 that the ALI was undertaking a Restatement of Copyright Law and that the drafting of it would start immediately. 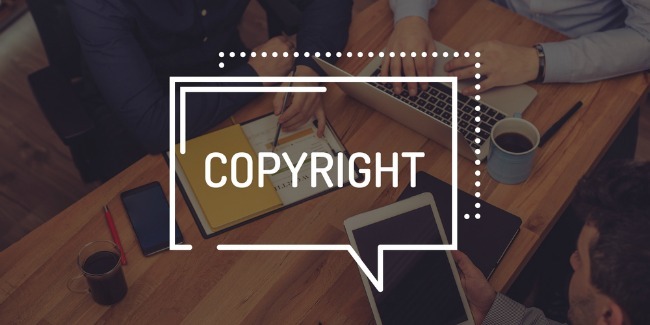 Unlike other bodies of law that have been covered by ALI Restatements, the general rules and principles of copyright law are already clearly stated in a federal statute—the Copyright Act. Further, the timing of the project was odd; the Copyright Act was then (and still is) under review by Congress, and legislation to amend the law is anticipated. But the most puzzling aspect was the clear anti-copyright bias of the initial proponent of the Restatement and lead drafter appointed to run the project—both legal scholars who have devoted their careers to curtailing copyright protections and who have consistently taken positions on copyright opposing the Authors Guild. Despite and indeed because of these concerns, Mary and other Advisors from the copyright community devoted many hours these last few years to reviewing and commenting on the draft chapters thus far produced; and they actively participated in the meetings with the drafters each year, with the expectation that their comments would be seriously considered and integrated into the proposed Restatement. The hope was that the drafters would take their responsibility and the Advisors’ comments seriously, especially since the Advisory group includes some of the nation’s leading copyright experts, and that at the end of the day a clear, accurate, and balanced Restatement might be produced. As it turns out, very few of the Advisors’ comments have been adopted to date, even though many comments address the accuracy of the draft and/or the need for balance. By way of example, if there are a dozen or so important cases on an issue and, let’s say, ten favor copyright protection and two don’t, but the drafters prefer the minority view, the draft focuses on those two cases. In other instances, provisions from the Copyright Act are rewritten with slightly different wording, in a way that could make a difference in how a provision is interpreted by courts. This winter, after a couple rounds of review of Chapter One, the drafters sent a revised version to the ALI Council for its approval. The draft, which was provided to the Advisors only weeks before the ALI Council was to vote on (and presumably approve) the draft, did not reflect many of the Advisors’ most important comments. Collectively, the misstatements, recharacterizations of the law, and lack of balance in case discussions, which the drafters had failed to correct, indicated a clear bias. The copyright community was alarmed by the draft and the information that, once approved by the ALI Council, the lone chapter would become public and could be cited by courts. It appeared that the worst fears about the Restatement of Copyright project—that it is an attempt to rewrite (change) the law in a way that further limits copyright protection—were indeed true. The U.S. Copyright Office and many copyright academics and practitioners, including bar associations, took notice and sent letters to the ALI expressing their grave concerns about the project. The Copyright Office’s letter, which garnered the most attention, was blunt, calling the project “misguided” and advising the ALI to suspend the project altogether. A group of Advisors, including Mary, signed onto a Copyright Alliance letter reciting some of the deficiencies in the draft chapter and asked that it not be approved. As a result of the letters and the concerns they expressed, the ALI Council decided not to take a vote at their meeting on January 19. Instead, the ALI appointed a group to consider a possible “new format” for the project. It is unclear what is meant by a “new format,” but it is a welcome indication that the ALI took our concerns seriously. Hopefully this will lead to a more balanced approach moving forward. ALI’s Great Copyright Caper: Has the American Law Institute Been Hijacked by Big Tech? The Guild will continue to be involved in the process and will keep you updated on any new developments.